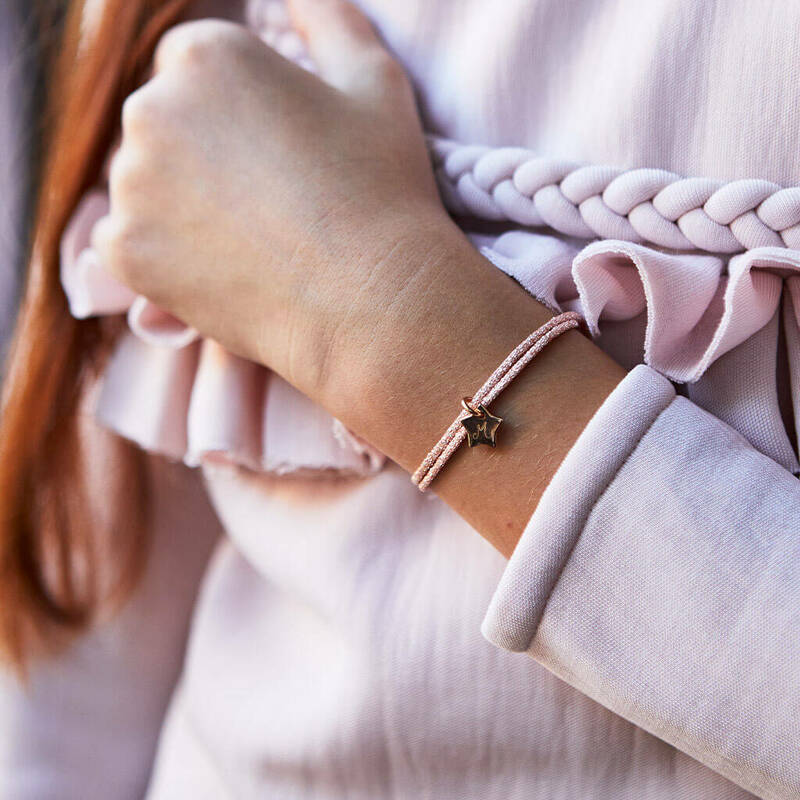 Sparkle your way through the day with our Personalised Initial Sparkle Bracelet, featuring your choice of cute mini charms on a glittery braid. 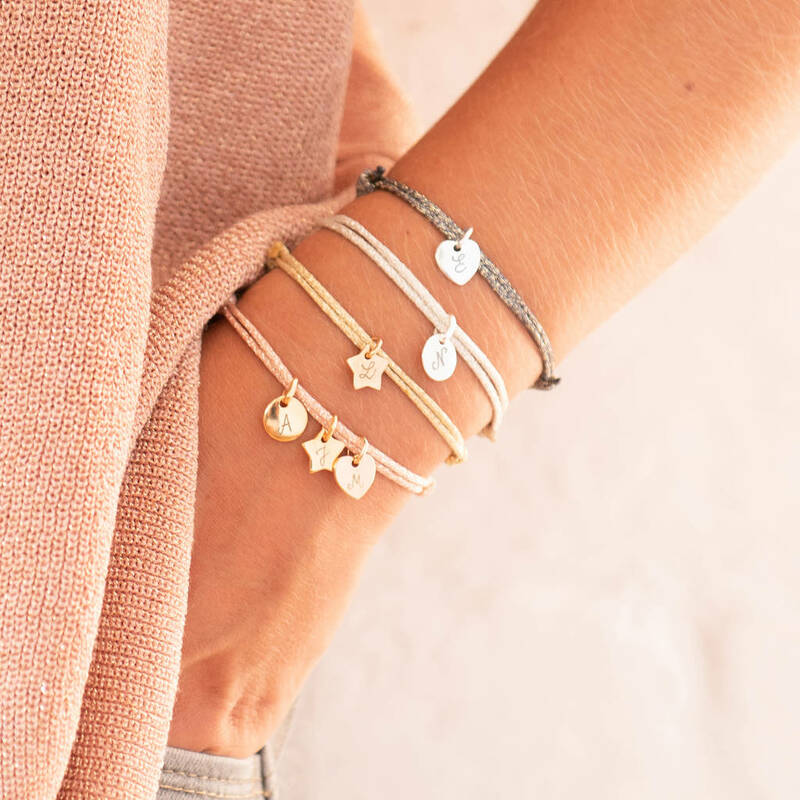 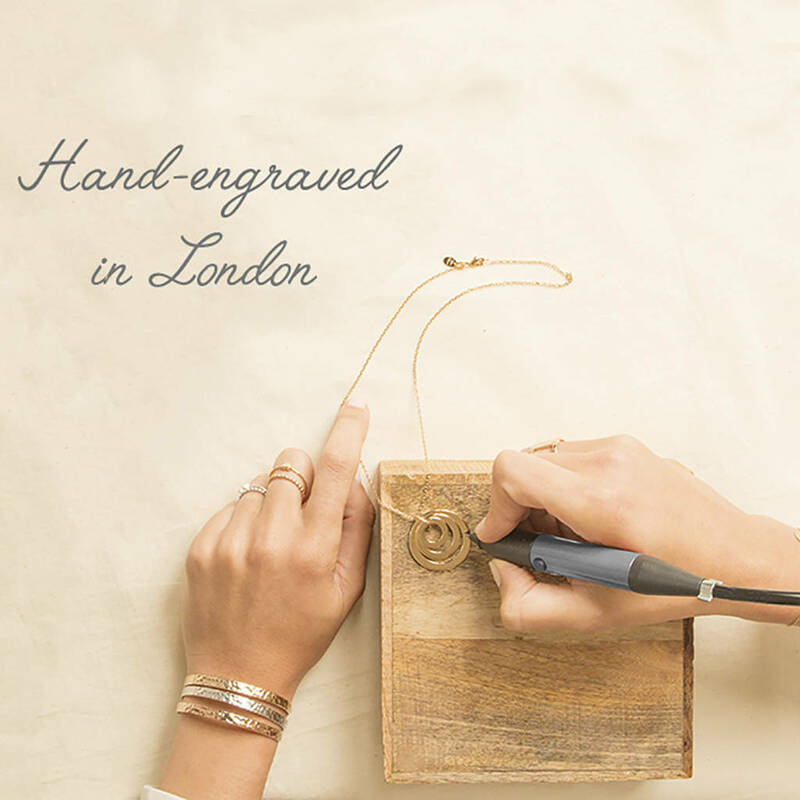 Your 925 Sterling Silver or 18K Gold Plated mini charms can be hand engraved with up to three initials - choose one and engrave the initials of that special someone or go for three and commemorate kids, friends or siblings. These charms will be threaded onto your choice of Dark Grey, Silver, Pink or Gold sparkle braid, secured with sliding knots and an optional T-bar clasp.